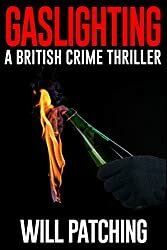 I actually won a signed copy of this book in the UK Crime Book Auction but as it was the second book in a trilogy the author Will Patching sent an e-copy of the first book for me too. I have bought the whole series as kindle e-books at Amazon but I am reviewing each book in its own right. They really are that brilliant! 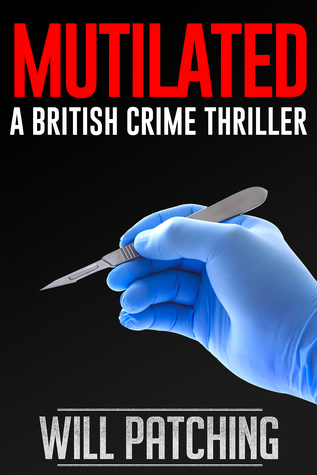 A sadistic killer sends a disturbing letter to Broadmoor hospital for the criminally insane, challenging forensic psychiatrist, Doctor Colin Powers, to investigate several unsolved mutilation murders committed over the last decade. That same morning, DI Jack Carver is appointed lead detective when a dismembered victim is found hanging from a tree on Clapham Common in south London. 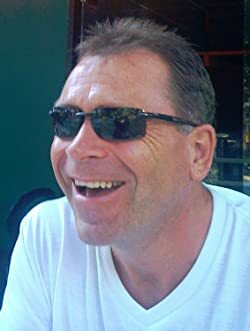 What has this psychopath, nicknamed ‘The Surgeon’ by Jack’s team, got to do with Doc’s past, and how can one of Broadmoor’s most vicious patients be involved – despite being locked up for over twenty years? And more importantly to Doc, where is his lover, Judy Finch, who went missing several months before? 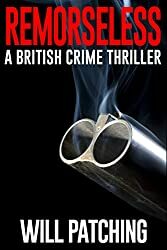 The dark, spine-chilling first book in this series, Remorseless, has been described by independent 5 star reviewers as ‘British crime thriller writing at its best’, ‘Right up there with James Patterson and Stephen King’, and ‘…up there with Stuart MacBride and Val McDermid’. This is book two in an outstanding trilogy and I am going to say that this for me is equal to reading Thomas Harris’s The Red Dragon, The Silence of the Lambs and Hannibal, so if you read those you will love this series. You haven’t really met evil until you have read this book. Doc Powers and D.I. Carver are reunited when unsolved gruesome murders from the past and a mutilated body is found in present day. The description of an unrecognisable torso and face is like one I have never read about before, one which you will have to discover yourself. It will clear your mind of anything else because it will be the only thing you can think about. Then when you think it really couldn’t be any worse, well it is. It has to be one of the most evil acts I have read about. This book just swept me totally off my feet. What an absolutely gut wrenching read. I am loving this series! Will Patching weaves together threads of true life events with an imagination that I can honestly say I have been drooling over. The research is outstanding delving not only into medical techniques, procedures and the effects of drugs but also cultures and subcultures, extreme tattooing and body suspension. I was wowed over and over again on every single page, a sponge soaking up every all the facts. The personal story centres round Doc and Jack who both struggle in their own lives. Doc is truly fascinating with his own medical concerns and a much darker mind than someone that plays for the good guys. He really tingles the hairs on the back of my neck! This is one pure adrenaline junkie read not for the faint hearted but I wouldn’t cut out even one word. The story is top class with an ending that left me breathless! I purchased the books as a trilogy but reviewing each separately. I read this book and the third book back to back, so the review for that to follow tomorrow. Best series find this year! This sounds awesome will have to check it out!